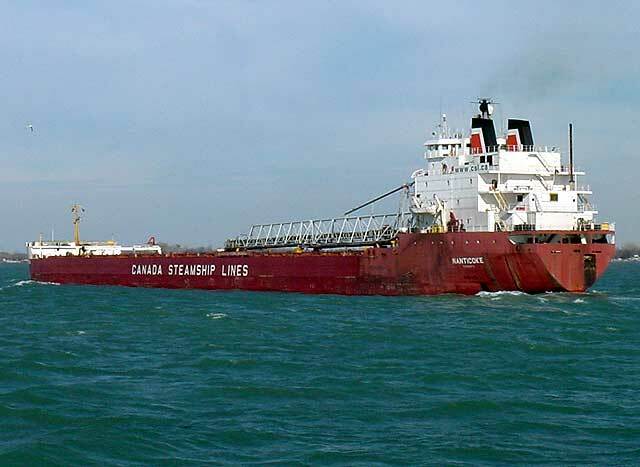 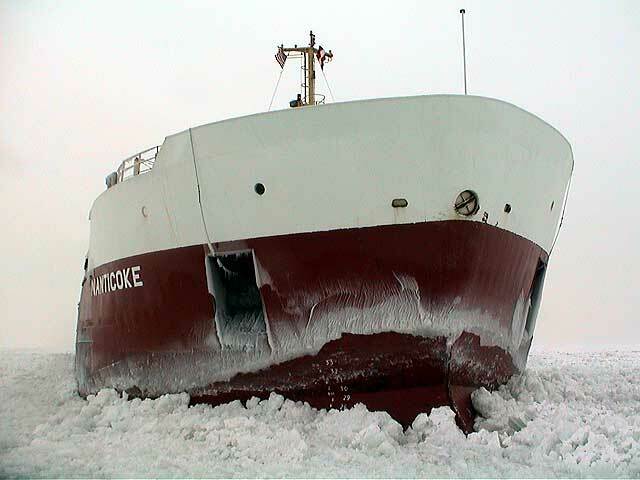 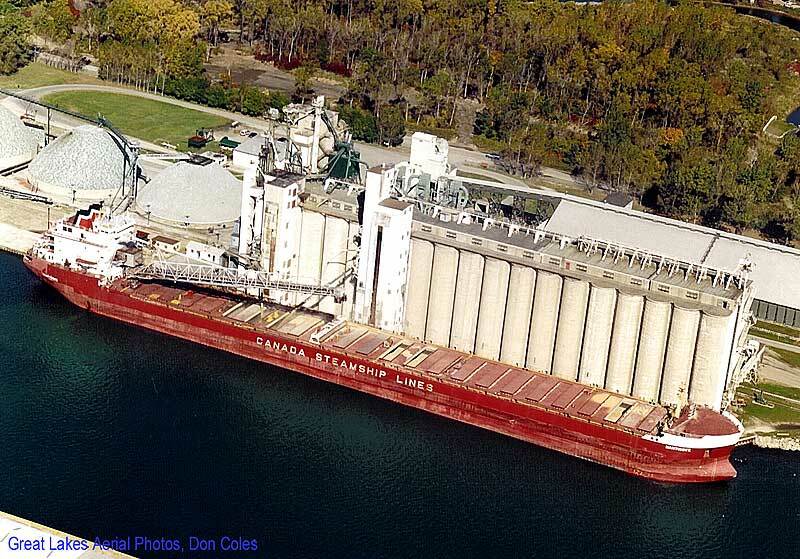 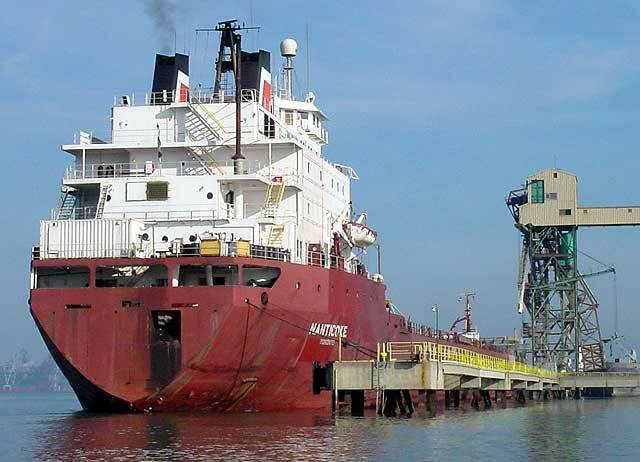 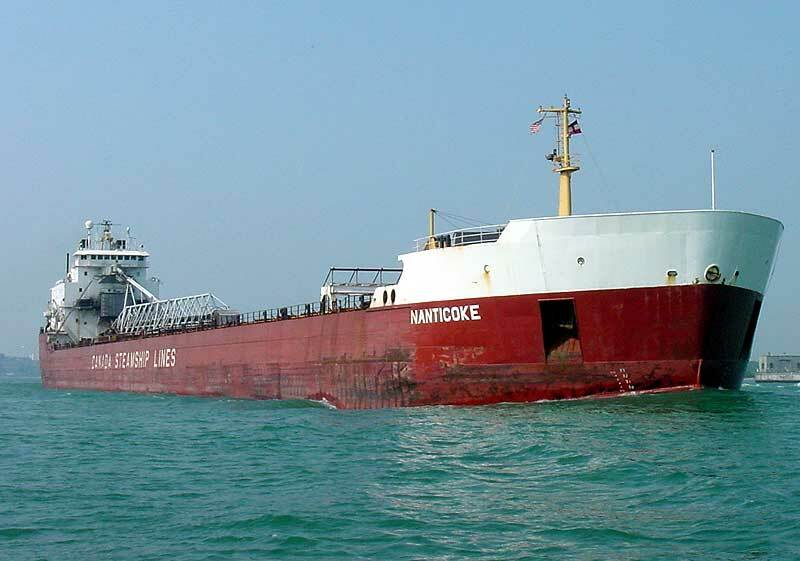 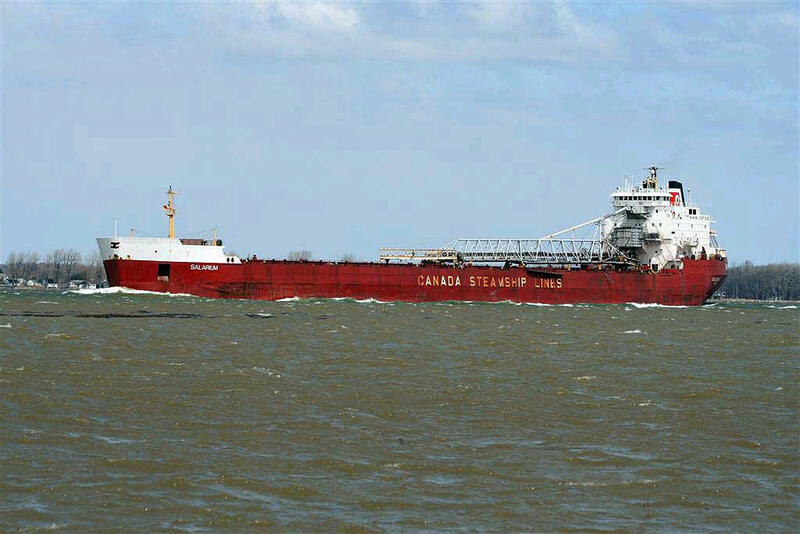 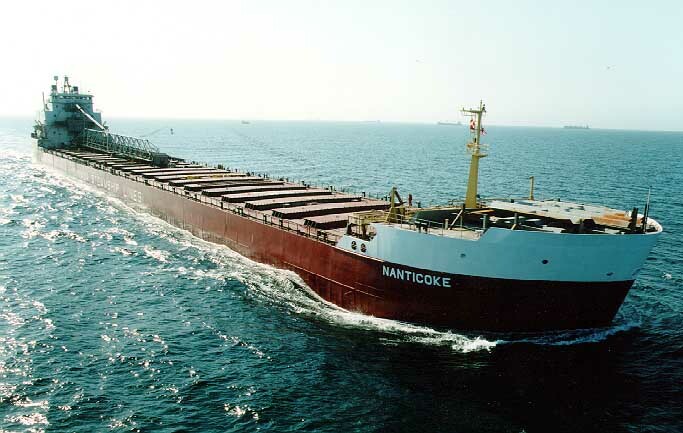 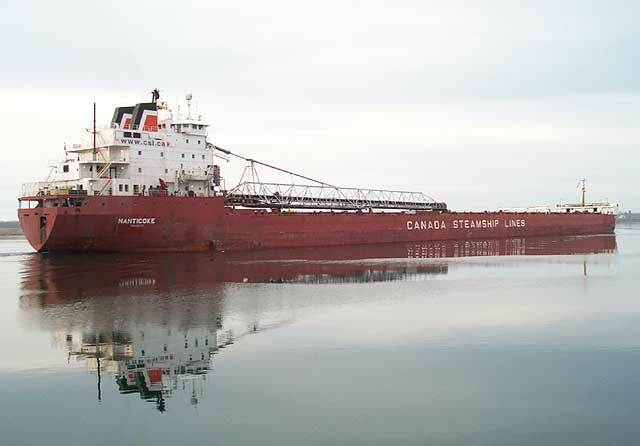 In April 2009, the Nanticoke was chartered by Societe Quebecoise D'Exploration Miniere, Ste-Foy, QC to replace Algoma Central’s former Sauniere which they had held under charter from 1982 until her retirement in March 2009. 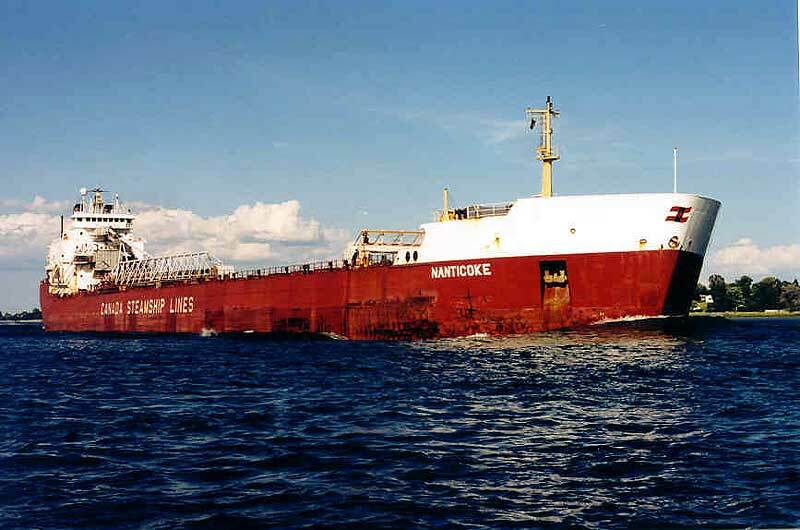 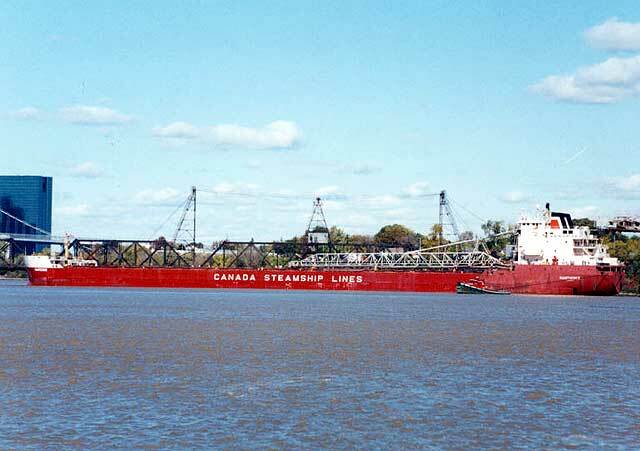 Nanticoke was fittingly renamed Salarium in Montreal (meaning a ‘payment made in salt’) and deployed on the same run as had been the Sauniere. 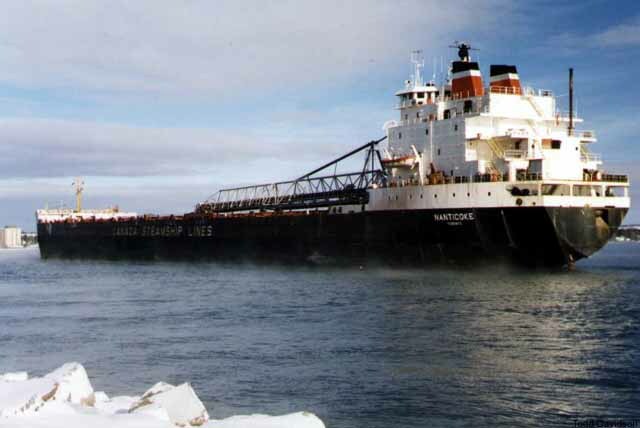 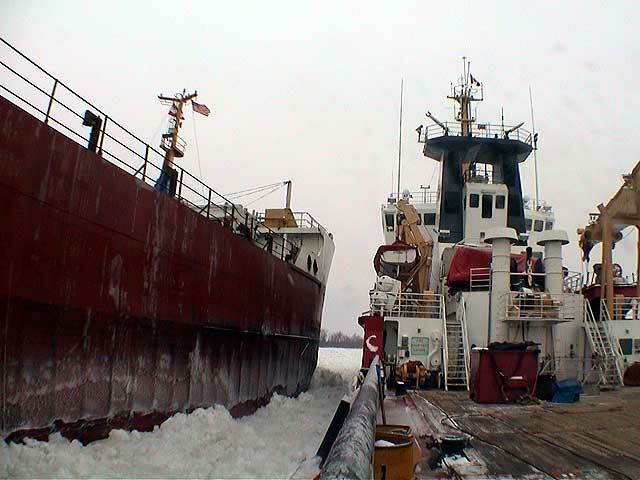 Employed mainly carrying salt between Iles-de-la Madeleine (Magdalene Islands in the Gulf of St. Lawrence) and Quebec ports along the lower St. Lawrence River as well as Great Lakes and east coast ports, she occasionally makes trips to the upper Great Lakes to load coal and iron ore when not required on the salt run. 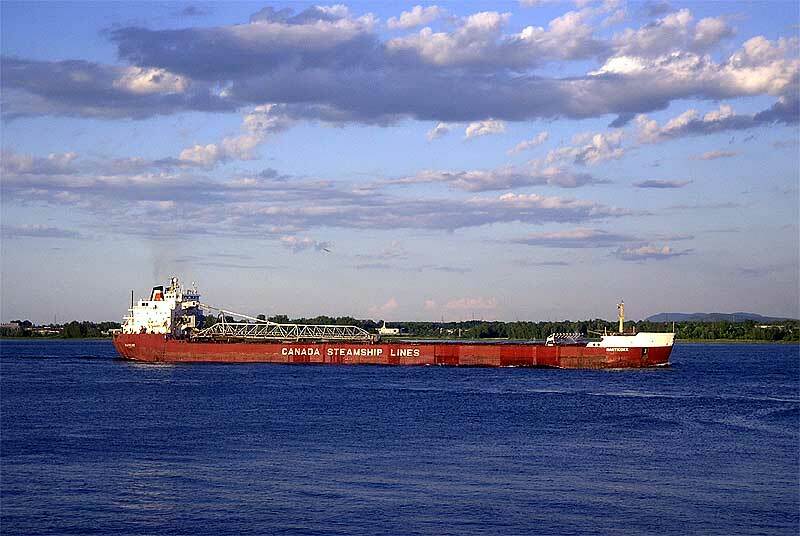 St. Lawrence River by Trois-Rivieres, QC 2009. 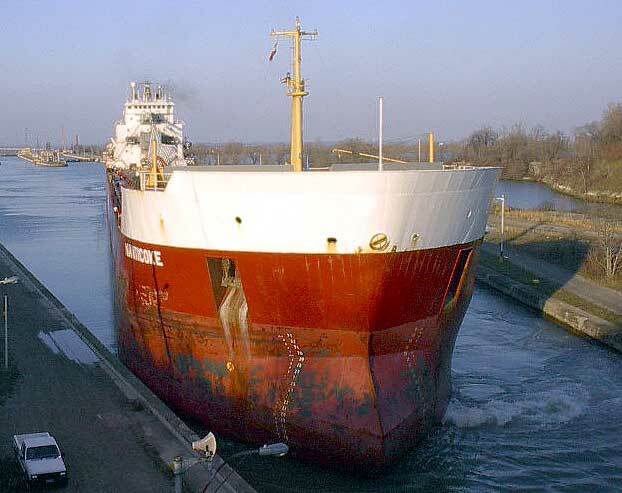 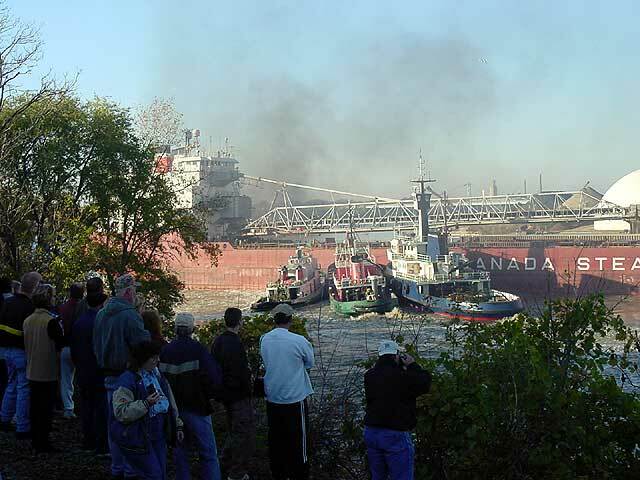 Upbound Welland Canal, Apr. 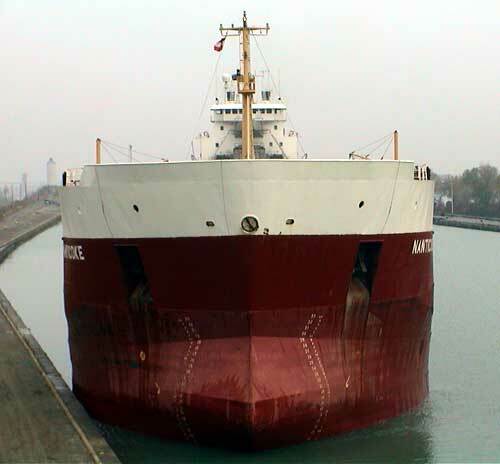 15, 2010. 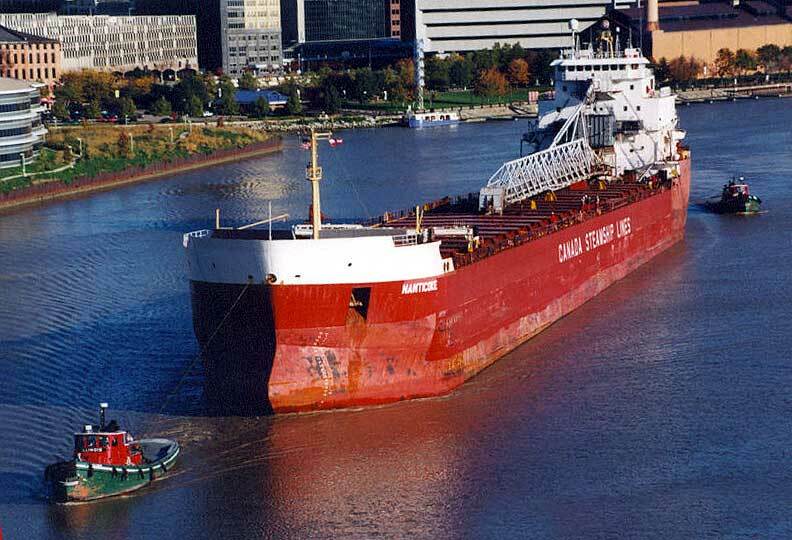 Inbound Maumee Bay at Toledo, OH, Apr. 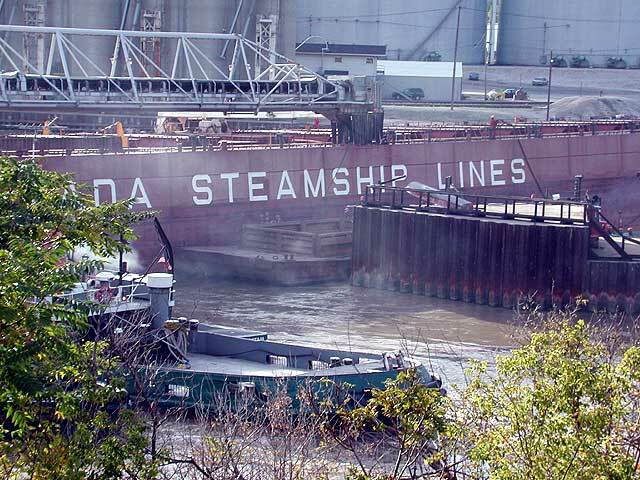 16, 2010. 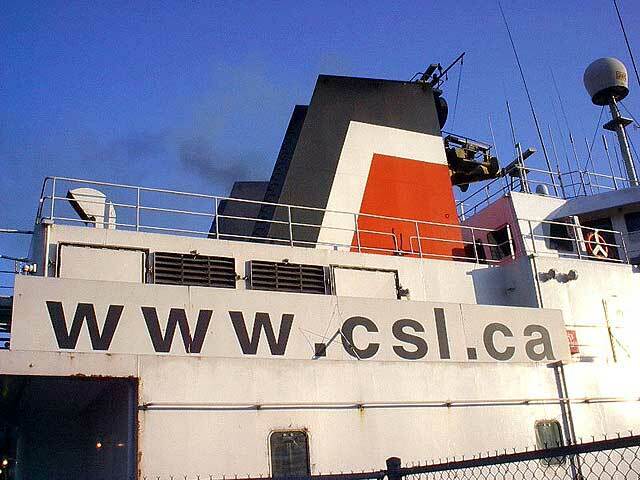 Stack & web site address, Dec. 3, 2001. 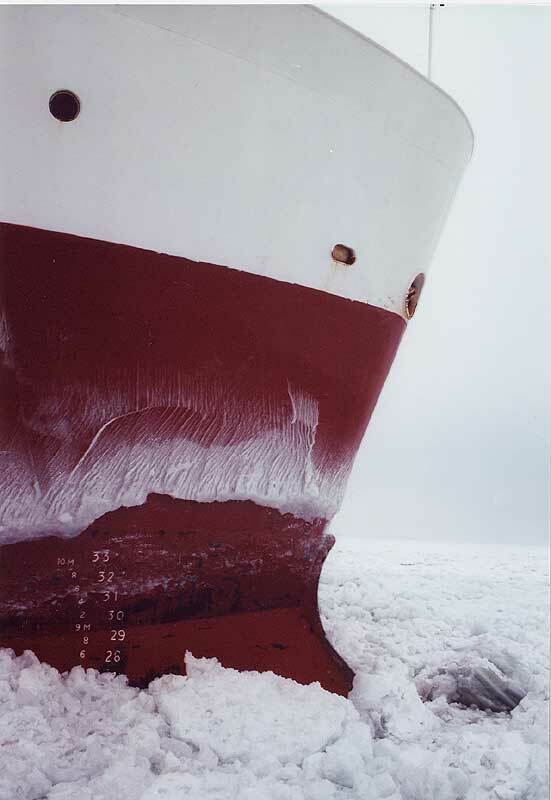 New markings, Apr. 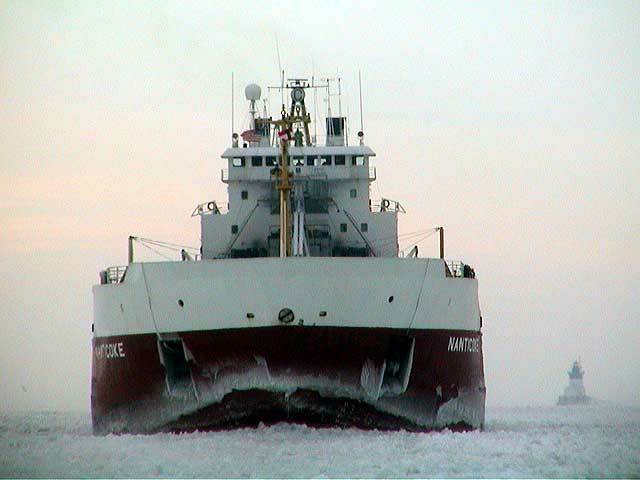 15, 2010.